The Angry Birds have a new neighbor. 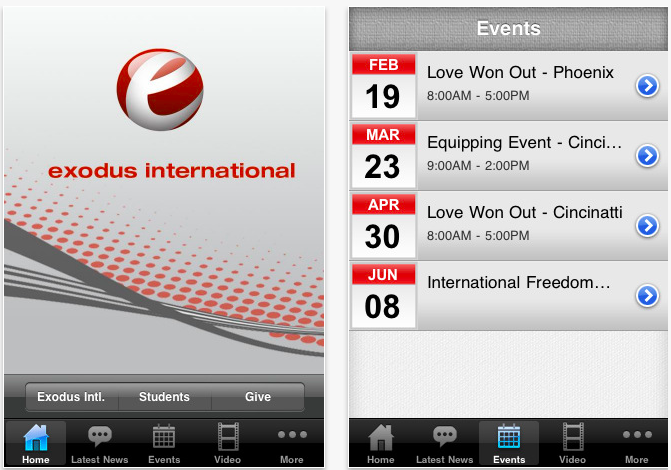 Exodus International, the so-called Ex-Gay Movement organization, has launched an iPhone app to bring “healing to homosexuals.” Events, anti-gay blog posts, and podcasts will be made available to smartphone users, all in a handy dandy app! Exodus International is the world’s largest ministry to individuals and families impacted by homosexuality. With over 35 years of ministry experience, Exodus is committed to encouraging, educating and equipping the Body of Christ to address the issue of homosexuality with grace and truth. Now we know what has these birds so angry - the new homophobes on the block. App aside, it’s worth noting that Exodus International’s Alan Chambers refers to gays as “God’s handicapped children.” The group regularly campaigns against equality for gays and lesbians. Will you be seeking “healing” from your iPhone and Exodus International?